An official associated with the mission on Sunday told 'The Express' that three rounds of the world-class missile were tested during the first phase user trial and it was a roaring success. BHUBANESHWAR: Making its mark as a military superpower in the Southeast Asia region, India has finally operationalised its first home-grown nuclear capable Submarine Launched Ballistic Missile (SLBM), after nearly two decades of development of the weapon system. 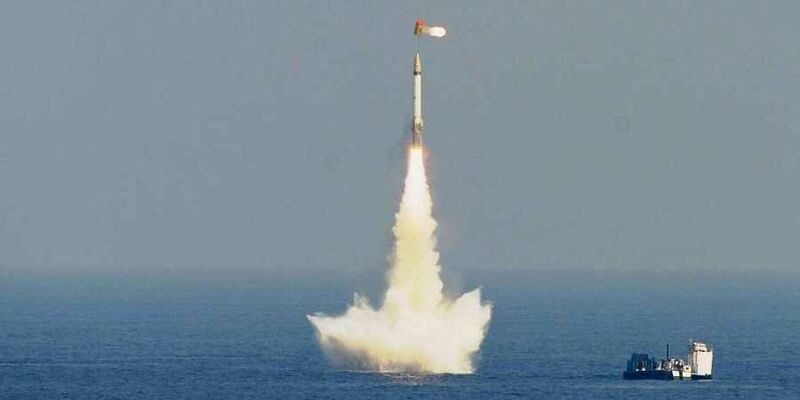 This makes India the sixth nation in the world to have a credible triad of nuclear-enabled missiles that can be fired from land, air and undersea. Kept under wraps for years and inducted in the Navy a few months ago, the SLBM, code-named 'B-05', was secretly test-fired back-to-back from indigenously built nuclear-powered submarine INS Arihant off the Visakhapatnam coast on August 11 and 12. An official associated with the mission told The New Indian Express that three rounds of the world-class missile were tested during the first-phase user trial and it was a roaring success. Two tests were conducted on August 11 and one was done next day in full operational configuration. The successful mission has made India a member of the very exclusive club of six nations which have the triad of firing nuclear-tipped missiles from land, air and undersea. Other countries having the capability include Russia, USA, France, UK and China. Though India has a declared no-first-use policy, it is developing a nuclear doctrine based on credible minimum deterrence. carry a payload of about 1000 kg. missiles or four K-4 missiles. supersonic cruise missile as well as the 1,000-km sub-sonic cruise missile Nirbhay, which can be configured for both nuclear and non-nuclear warheads. is also developing 5,000-km range K-5 and 6,000-km range K-6 which would add more teeth to the arsenal. US, Russia, England, France, China has track record of losing more then one submarine in sea or harbour. Haven't they deployed vessels thereafter? India has a track record of losing a submarine right in Bombay Harbor. It is manned by less than competent naval personnel with a record of losing several vessels. Will India be capable of operating a nuclear vessel? We had the unfortunate situation where in we have to rely on foreigners for submarines. Ex:Kilo class. When India makes her own submarine or weapon system, from her own design it becomes the most safe in the world. Tejas is a fine example. May be Roseville's govt can start ordering Nuclear subs from us so that you have better safety record.